The Reformation of the 16th century has always been seen as one of the pivotal events in European history. Lord Acton, the famous 19th-century British historian, compared the importance of Martin Luther's speech at the diet at Worms in 1521 with Napoleon's defeat at the Battle of Waterloo in 1813. Lord Acton's may or may not be an extravagant claim, but it is certainly true that the events of the 16th and 17th centuries, now called the Reformation and Counter-Reformation, changed forever the religious and political history of the West. 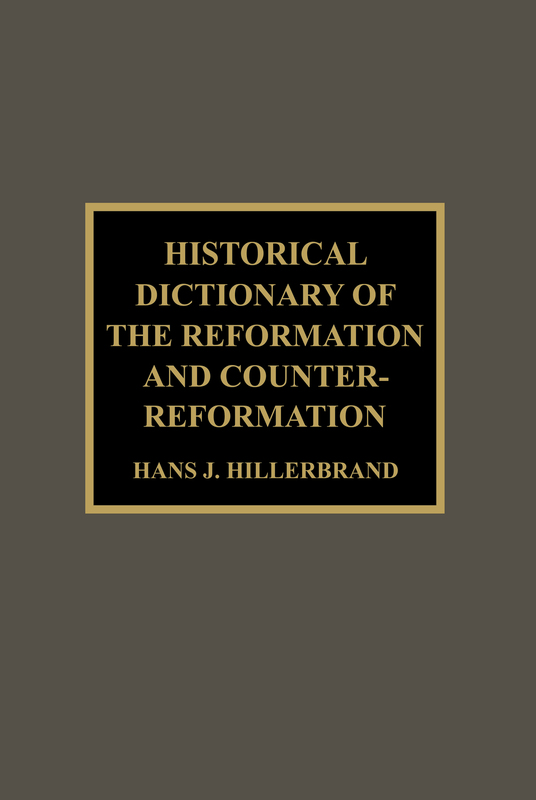 The Historical Dictionary of the Reformation and Counter-Reformation provides a one-volume, balanced, alternative to the overwhelming amounts of literature on the events of the time and the theological and political debates that spawned those events.